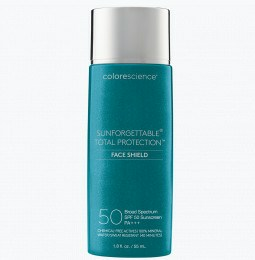 Protect yourself against the sun’s harmful effects – the safe way – by using Colorescience’s chemical free sunscreen. Our all natural, mineral-based formula delivers reliable UVA and UVB protection without exposing you to the toxic ingredients found in traditional sunscreens. We offer sunscreen that’s great for your skin and the environment. 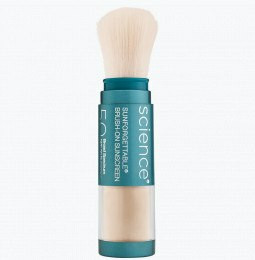 Shop with Colorescience and make the switch to chemical free sunscreen to benefit not only your health, but also your complexion. What harmful chemicals are in sunscreen? Many consumers are unaware of the toxic ingredients found within traditional chemical sunscreens. Active ingredients such as homosalate, octisalate, octocrylene, oxybenzone and a bevy of other difficult-to-pronounce chemicals work by absorbing UV rays and converting their heat, but they are also easily absorbed by the skin. From there, they enter the bloodstream and spread across the body, causing harm along the way by disrupting the endocrine system, affecting hormones, and causing cellular damage. Scented SPF might also contain harsh, skin-irritating fragrances, which is why Colorescience offers a natural, non-fragrance sunscreen. Why should I wear chemical free sunscreen? Chemicals absorbed by the skin remain in the body for an unknown amount of time, and traces of their presence can be seen in blood, urine, and breast milk samples. Because of this, using all natural sunscreen is a critical choice for those searching for safe sunscreen for pregnancy and nursing. Parents in need of safe sunscreen for children should also steer clear of chemicals and instead use Colorescience organic sunscreen. The chemicals and oils found in traditional SPF come off in water and endanger sea life, but our biodegradable mineral sunscreen will decompose naturally – and should be used by anyone who’s eco-conscious. 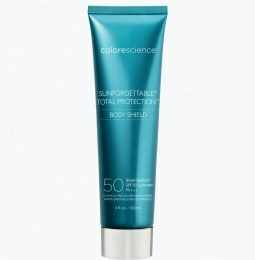 Take advantage of zinc oxide sunscreen powder by Colorescience for chemical-free UV protection. The BEST eye cream EVER!! I love love this stuff. I've been using this product now for a few years & I have to say its truly the best. It goes on smooth, eliminates my dark puffy circles and it brightens them up! With 2 small children this is def a must have always! 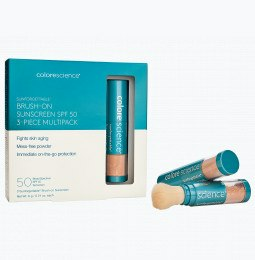 Thank you Colorescience for making such a fantastic, chemical, and toxic free eye product! I live in Texas and have previously used chemical sunscreens. I have never found one that I am completely satisfied with. 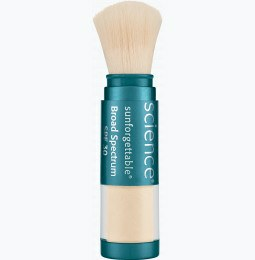 Once I found Colorscience and Sunforgttable I knew I'd found my holy grail sunscreen. I have my husband using it as well and we both love it. It actually makes my skin look better using it. I cannot live without this stuff!!! I love, love, love this stuff!! I have very sensitive skin, so I can't use chemical sunscreens, and I also hate sticky, goopy sunscreens. This meant that I usually didn't use sunscreen at all, unfortunately. Since I found this product, I use it every day and my skin is so much happier (and so is my dermatologist). It's convenient, non-greasy, and very effective. I don't know what I'd do without it!